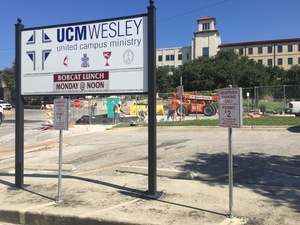 The United Campus Ministry building features a private parking lot right next to Texas State. The primary purpose of this lot is to support the ministry of the UCM. Permit stickers are REQUIRED to park anywhere in the lot. Towing is enforced to make sure parking is available for the purpose of the ministry. Reserved Parking Spaces are available for rent from the UCM. There is a limited number of spaces and we often run a waiting list. 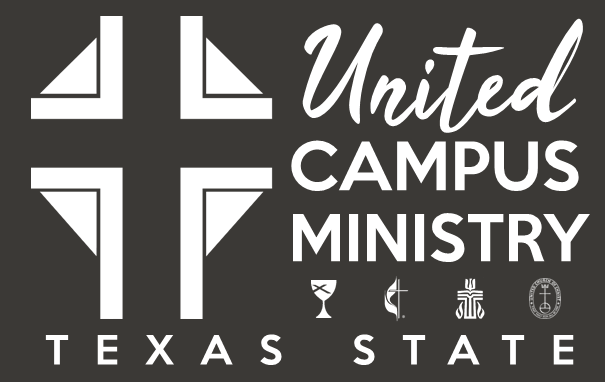 UCM Students can receive student member permits valid during specific ministry events of the UCM. Organizations can rent the UCM parking lot to support special events they may offer on/near campus. Rates based on time and number of spaces. If you would like to learn more about parking, please complete the following form. When you view the live version of this page, you will see a form in place of this box. Double-click on this placeholder box to change which form displays. To remove this form from the page, select this box and hit the delete key.